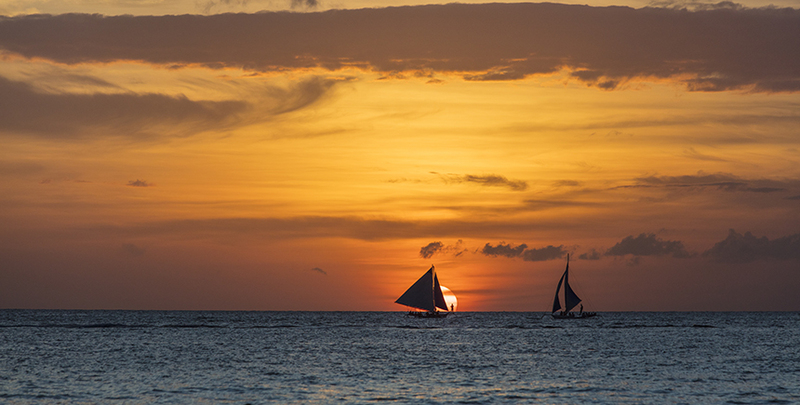 Boracay is made for fun in the sun. This bone-shaped island just off Panay in the Western Visayas has about a dozen beaches within its 10km2 acreage, with one shining brightest of them all — the aptly named White Beach, which stretches for 4km along Boracay’s south-west coast. White Beach is Boracay as the world sees it, with millions of snapshots capturing its famously powder-fine white sand and crystal-clear water. I have seen White Beach sunsets from both sides of the generational divide — back in the ’90s as a teen, when Boracay hardly registered as a blip on the world tourist map; and decades later as a husband and dad, our family of three watching the sun dip below the horizon while sitting shoulder-deep in the sea. 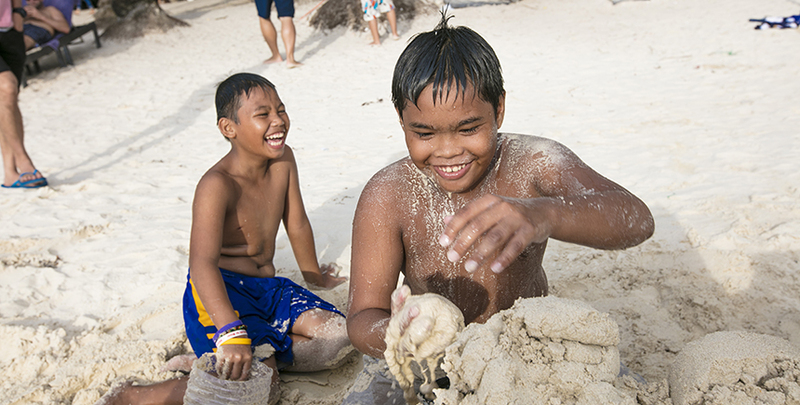 The old Boracay fell far short of what we now consider standard for kid-friendly islands. To get most of the way there, we had to endure a long, bumpy open-air bus ride from Iloilo City, to say nothing of the grueling trip back. Back then, the expansive, near-deserted White Beach was the island’s only real family attraction, with Jony’s Place and Pink Patio (today’s Patio Pacific) among its very few resorts. (Tourists more commonly booked one of the cheaper bamboo bungalows facing White Beach, where clothes hung out to dry on the veranda were typically stolen in the night.) As for shopping, we took home nothing but shirts and sunburns. Bonding over Boracay’s gorgeous sunset, though? Worth it. Today’s Boracay could not be more different. It’s now considered the ultimate Philippine beach island: a self-contained getaway where family fun can be had 24 hours a day, supported by convenient access to transportation, entertainment, dining, shopping and emergency care. 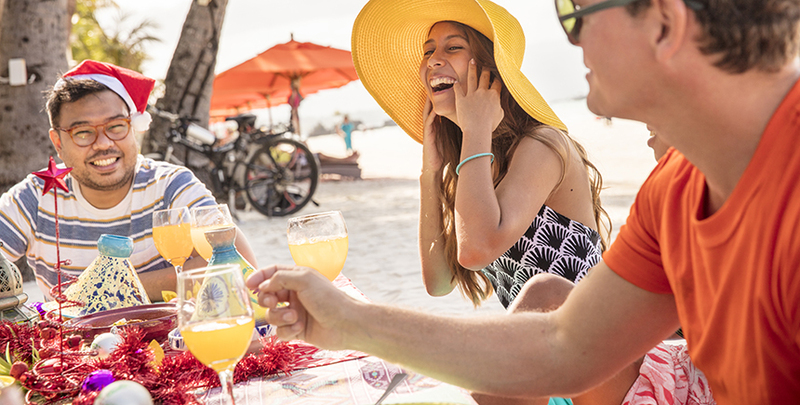 Start at the island’s ground zero, the quaintly punctuated D’Mall, where you can experience Boracay’s universal appeal for traveling families. The restaurant scene on the island rivals the offerings in Bonifacio Global City. Besides pocket-friendly classic Filipino eats like D’Talipapa and Merly’s BBQ, hungry holidaymakers can also splurge on upscale selections like Cyma’s Greek dishes and Aria’s Italian fare. It’s a recurring theme throughout Boracay — both budget and luxury visitors leave the island happy and satisfied. Branded hostels are a relatively new phenomenon here. Joints like MNL Hostel and The Mad Monkey (an import from Cambodia) have only recently set up shop alongside the island’s established budget brands. Newer luxury marques, like the Lind and the Henann, join an already crowded roster of upmarket resorts like the Shangri-La and Discovery Shores. With so many resorts taking up space on White Beach, the fringe areas have eagerly lapped up the overflow. Once Boracay backwaters, Bulabog Beach, Diniwid Beach and the northern highlands are now hotspots in their own right. 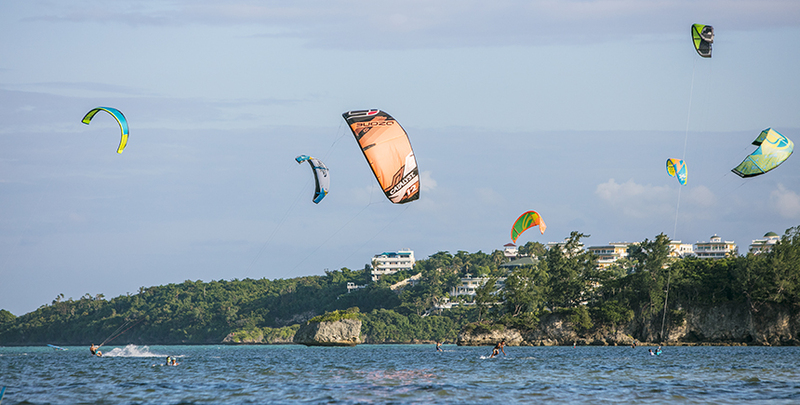 It remains to be seen whether Boracay’s north-east coast will become just as popular for its high-end accommodations as it presently is for its kiteboarding scene. 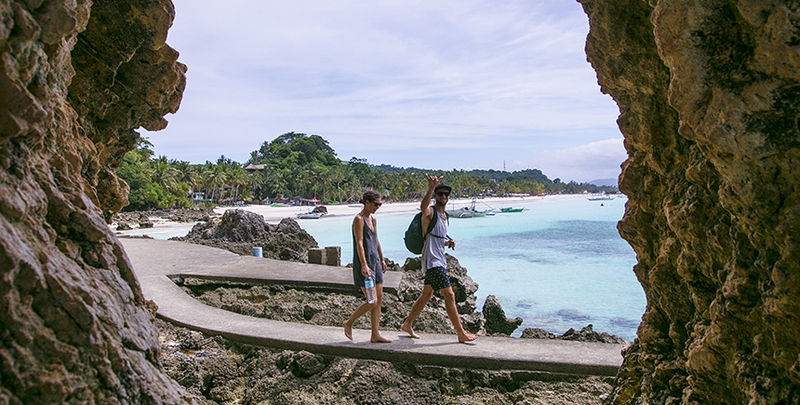 With everything it’s gained in the past 20 years, it’s easy to gloss over what Boracay has lost. The old Boracay was sleepy, yes, but it was pristine. I remember wading into the water off Station 2 with no other soul in sight except for a couple canoodling in the far distance. Today, privacy on Station 2 seems like a strange concept. 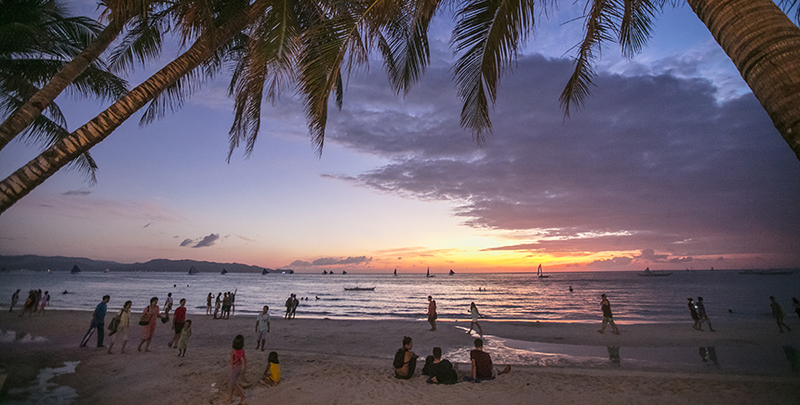 The growing tide of tourists has stretched Boracay’s capacity close to breaking point. 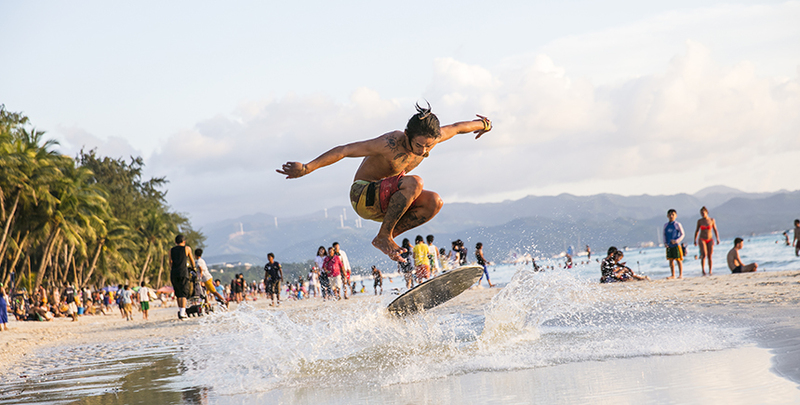 With vendors pestering beach-goers, sand-sculpting kids cadging passersby for change, and the slow but steady transformation of the beachfront into a concrete jungle, peak-season Boracay feels less like an island paradise and more like a sandy carnival. The overall effect is festive, not oppressive. 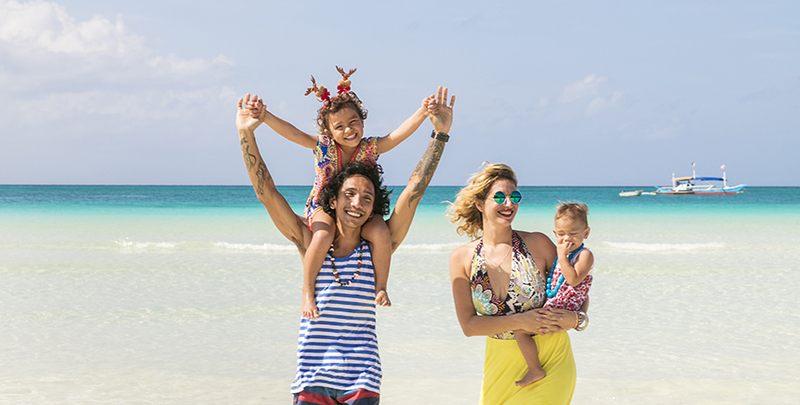 And fun is exactly what Boracay promises for families — although the definition of that word has evolved in the past 20 years. The desert island feel of the ’90s may have been fun for us as kids, but my daughter and her generation completely adore today’s more high-powered Boracay — the party atmosphere of White Beach, the parasails buzzing over Bulabog Beach, the Mandala Spa at Manoc-Manoc to the island’s south, the golf course at Fairways & Bluewater tucked away on the northern end. The optimist in me thinks Boracay still has some room for good growth. All the island needs is to slow down the accretion of new establishments along White Beach, protect the last remaining slivers of forest, and get a grip on the festering pollution problem that bedevils it during the high season. Do all that, and I bet that Boracay will still be attractive enough for my daughter to bring her own kids to, when the time comes.